Although the invisible design concept of the invisible man’s suit is not original to Tesla, it is this unknown man’s suit that brings the nebulizer’s in-line theoretical design into play. 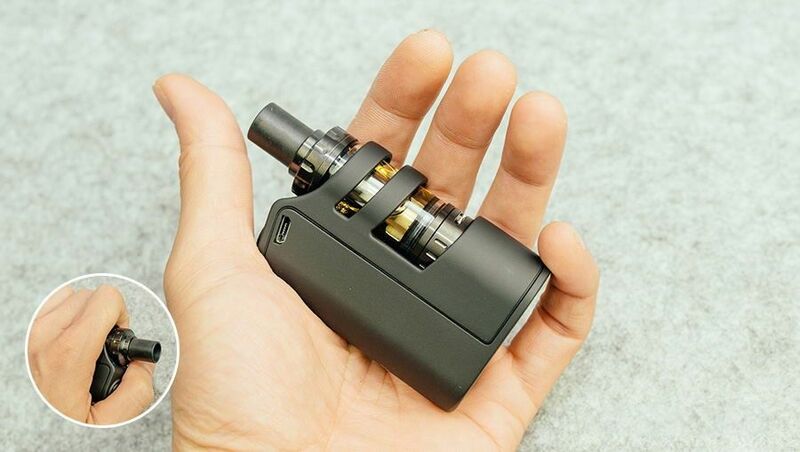 He significantly reduced the size of the atomizer and the host itself so that the host’s measurements were only 7 (high) x5 (long) x5 (wide), feel very mini in one’s hand, one hand Caught in the hands of the entire host. The delicate, smooth feel brought by the rubber paint process, with the host of the small rounded radian and excellent craft, making this host feel has become a bright spot. That is the most important, but also the theme of this article, “constant pressure output”, because it is a mechanical output, then the whole machine in addition to ignition button without other buttons, there is no display, the operation is straightforward, with the package supporting the finished atomization Device that allows novices also have a good experience. Another prominent feature of the mechanical output is that the rapid ignition, the burst time is very short, but also bonus points on the experience of the use of indicators. Of course, constant output voltage, its output mode is also unique, according to the resistance of the atomizing core to determine the specific output power, calculated as U² (voltage squared) ÷ R (resistance) = p (power) Nebulizer to obtain a stable output, while the invisible set of atomizer configuration is 316 stainless steel heating coil, 316 material heating coil resistance will increase with increasing temperature, so the formation of a The effect of the curve output, the ignition temperature is low, the opposition is small, the current is large, warming more quickly, reaching a specific temperature resistance increases, the current decreases, the output power will naturally decline. 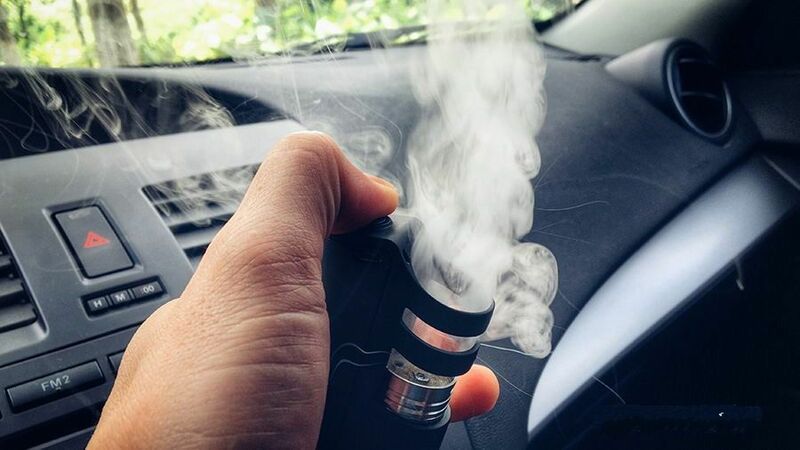 Tesla to the nebulizer adapted two finished atomized core, respectively 0.28Ω and 0.6Ω, 0.28Ω atomized core smoke more considerable, 0.6Ω atomized core can be small inlet suction, suitable Use different habits of users. 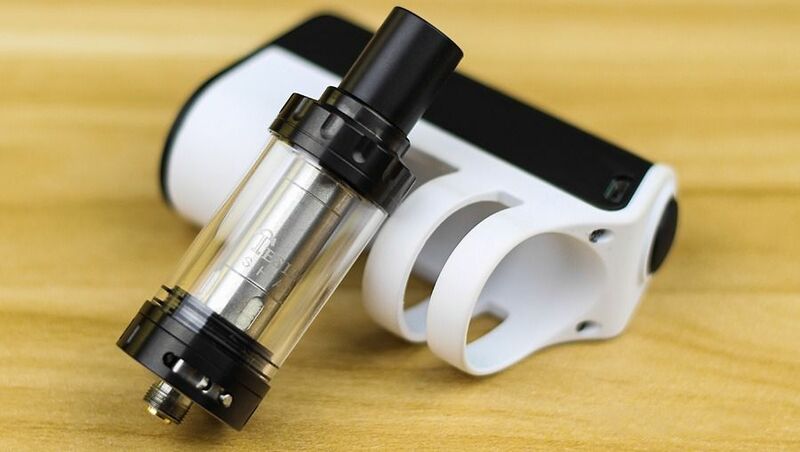 This host supports a minimum of 0.1Ω resistance, can fit most of the 22mm oil atomizer, but the host’s design determines that it can not use RDA and RDTA atomizer, a pity. Battery capacity is also the mainframe cannot cross the hurdle, after all, the fish and bear’s paw cannot be both small volumes at the same time can no longer guarantee a better life, the battery capacity of 2200mah, with a section of the power of Sony C4 entirely. But the 1A charging current support makes this host fully charged only takes three hours, can be considered a little on the life of it.